Flow Now Offers Gift Vouchers! 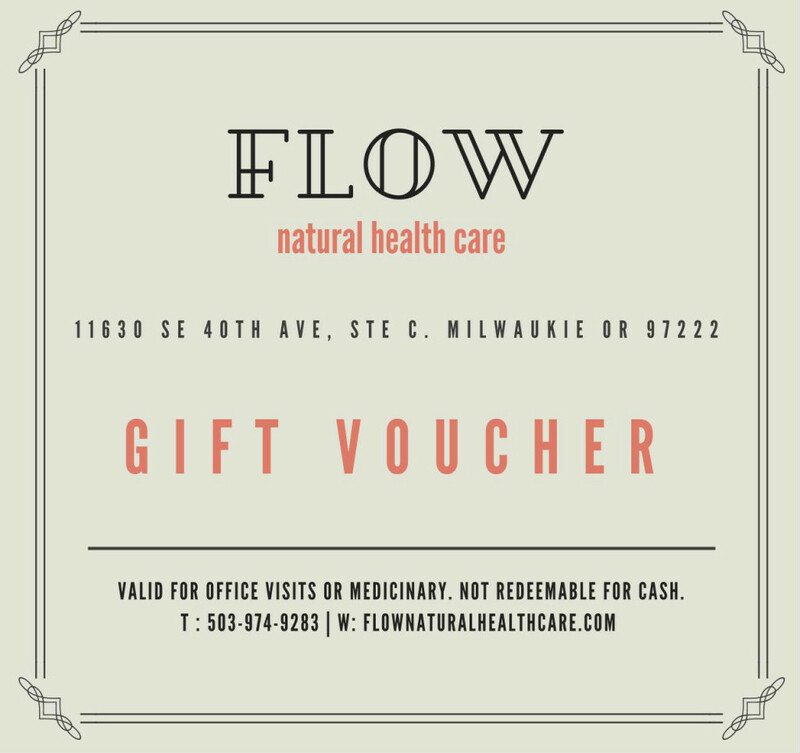 Flow Natural Health Care is now offering gift certificates which are redeemable for office visits or at the medicinary. They are not redeemable for cash and can be purchased in our office at 11630 SE 40th Ave, Suite C Milwaukie, OR 97222.